As an adult, a lover of the ocean, Ken operated a live rock farm in the Florida Keys. (Live rocks are used in saltwater aquariums) One day, a staghorn coral attached itself to Ken’s rocks. 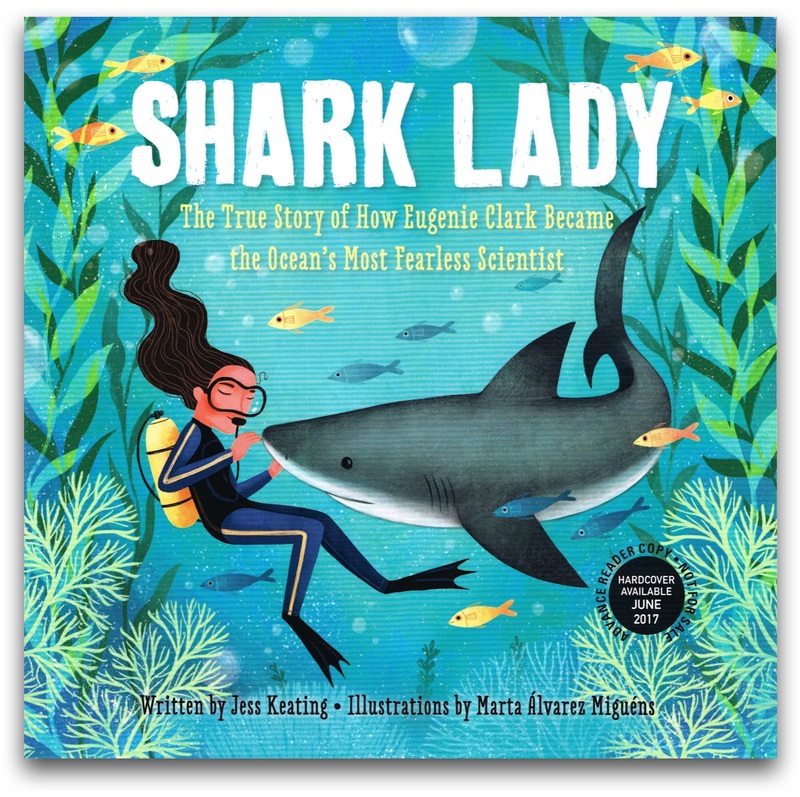 Ken and his daughter wondered if more coral would grow if they cut off pieces and attached those pieces to the rocks. Nedimyer then wondered if using the coral from his rocks would help to rebuild a dying a colony? 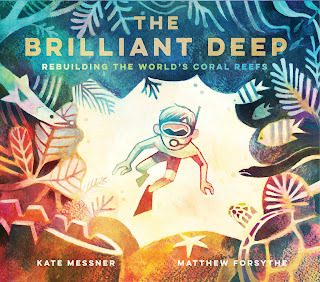 In this enchanting picture book biography, readers learn about Ken Nedimyer, who has dedicated his life to restoring coral reefs and The Coral Restoration Foundation, a foundation Ken started that now has hundreds of volunteers who help farm and transplant coral on to dying coral reefs. Forsythe’s illustrations are colorful and slightly fuzzy, reflecting the wonders of the undersea world. 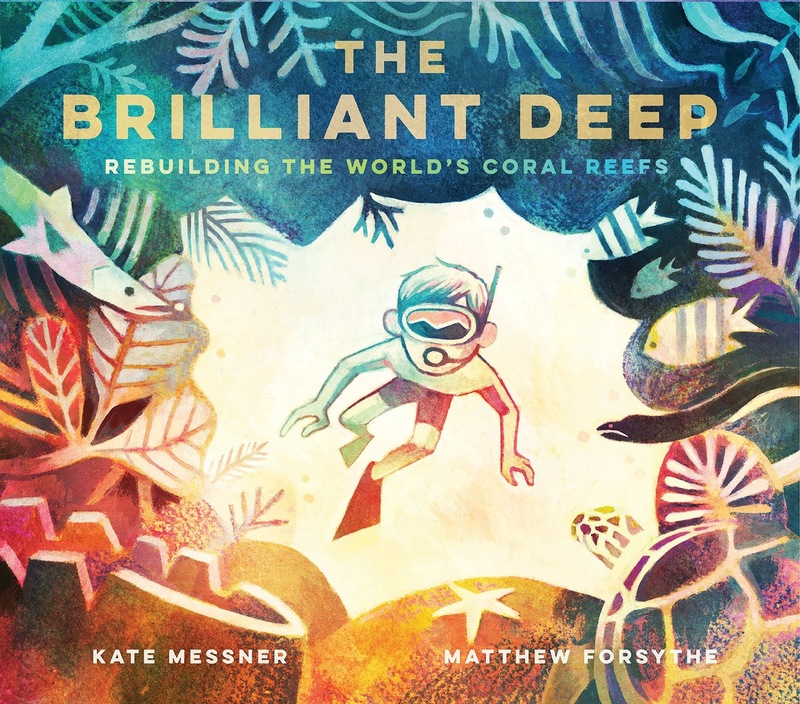 Back matter includes a note describes how many coral reefs are dying off, with tips on how kids can help the Coral Restoration Foundation. 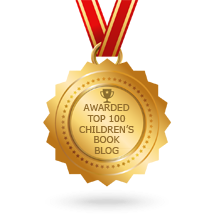 A brief bibliography of books, magazines, and online sources, along with a coral reef vocabulary. 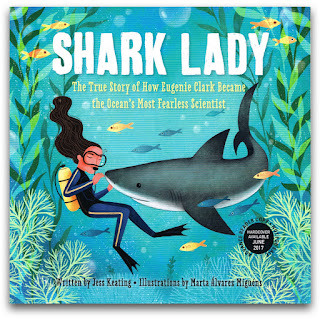 Pair Brilliant Deep with another excellent picture book biography that was published in 2017: Shark Lady: the True story of How Eugenie Clark Became the Ocean’s Most Fearless Scientist by Jess Keating; Illustrations by Marta Alvarez Miguens. 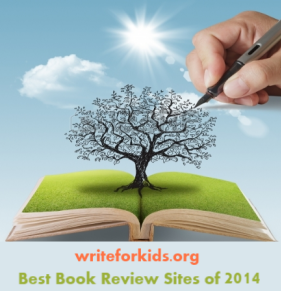 This reviewer used copies from the public library to write this review.